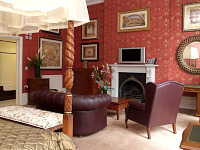 Opulence Hotel London offers luxury accommodation in the heart of Central London. This boutique style hotel prides itself on the service it provides, and coupled with a prime location, makes an ideal choice for your London trip. From here you’ll be able to stroll to famous nearby attraction such as Hyde Park, Oxford Street and Madame Tussauds. You’ll also be able to travel to London attraction such as St Paul’s Cathedral and the London Eye via Marylebone Tube Station. 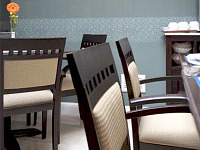 The stylishly furnished Opulence Hotel London provides you with a number of facilities in its selection of guestrooms. In your room you’ll be able to store refreshments in the fridge, surf the internet via WiFi access and chat to friends and family on the hotel phone. 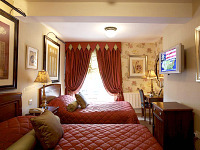 You’ll also find a satellite flat screen LCD TV, hairdryer and a safe. The hotel serves a hearty full English buffet breakfast each morning and also has a link with the nearby Holmes Place Health Club in Mayfair. The location of Opulence Hotel London is ideal for eating out, shopping and sightseeing! As well as a number of nearby restaurants and bars to sample, you’ll also find a number of attractions nearby, such as Marble Arch, Hyde Park, Madame Tussauds and the Sherlock Holmes Museum. You’ll be able to spend your money in the hundreds of shops on nearby Regent Street, Bond Street and Oxford Street. For access to all other parts of London you can take the short walk to Marylebone Tube Station. 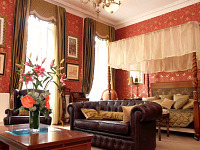 Opulence Hotel London is within a short walk of Marylebone Tube Station, served by the Bakerloo Line. Leave Marylebone Tube Station onto Harwood Avenue and walk straight ahead. Turn a left into York Street and then take a right into Upper Montagu Street. Turn left into Crawford Street, then right into Montagu Street and left into Montagu Place. 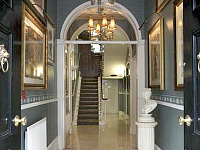 Next, take a right onto Gloucester Place you’ll find Opulence Hotel London at number 47.